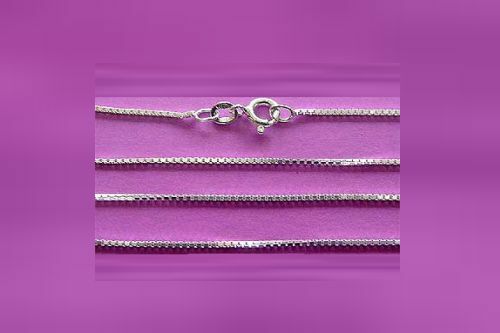 Sterling Silver Box chain. Secured with a strong bolt ring clasp. Measurements: 40cm (16 inches) in length, 1.00mm diameter and 1.60 grams weight. Also available in other lengths and diameters lengths: 45cm & 50cm (18 & 20 inch); 2.00mm diameter; 2.30mm diameter.